The terrible twos are over. At last! I thought they’d never end. 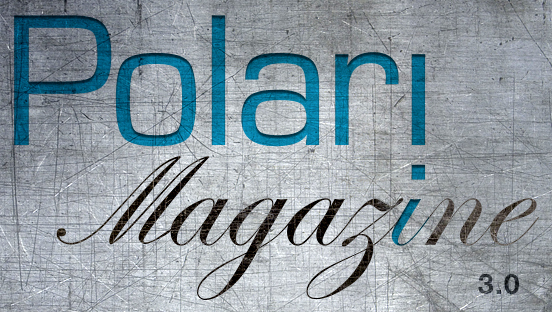 Polari Magazine turned 3 on December 3, 2011, and to mark this, the website has been rebuilt and reconceived. There are new sections to be explored, and old sections that have been opened up for new content. It’s the most dynamic, and the most exciting version we’ve built to date. Polari’s home is the incredible city of London, and in 3.0 this is the starting place from which it looks out onto the world. As well as writers from the city and the British Isles, there are writers from the United States, Australia, and South Africa. Although Polari is officially 3, the idea for it was conceived in January 2006, but it was not until December 2008 that the website was launched. That’s a 22 month gestation period, which is the same as it is for a baby elephant. When I first sent out a proposal to interest London-based writers and artists that same year no-one was using the word Polari as a name. From the start, Polari was designed to be a community rather than a stage for those who shout the loudest. The idea behind it was to talk to people, not down to them; and to talk to its readers as people and not consumers. Polari isn’t driven by a political agenda, it’s driven by a human one, so it’s about the diversity of the people reading and contributing to it. That is why I have always said it should be about lives, not lifestyles. Polari Magazine was designed to be a platform. What we’re looking for is to nurture that more than we have ever done in 3.0. There is a Suggestion Box, where you can put forward ideas for any part of the magazine, and there is a dedicated Contribute page. If you haven’t published anything before there’s no reason not to start right here. Polari aims to encourage new writers. Putting together a site like this is like city planning, and so I’m talking to people about sections and content that will appear in the coming weeks, once they have seen what the new site is and what it’s capable of. I’m talking to the unique London bookshop Gay’s The Word about a section, as well as the activist David Watters of NBI Associates, and the London based trans support group Gendered Intelligence. The site is organic, not just in terms of content but in terms of form. That is why there is a suggestion box, and that’s why we want readers to get involved not just with the content, but with the structure of the site. Polari 3.0 is about L, G, B, T, Q and I, and over the course of the next month the new content will reflect this. Polari 3.0 is what it claims to be: an informed, intelligent and thoughtful platform for an LGTBQI readership. Polari HQ • What are we watching? Polari HQ • What are we reading?